Interested visitors from the Greek and international shipping community buzzed around Gulf Oil Marine’s stand during the inauguration ceremony of the “Posidonia 2012” exhibition. Gulf Oil Marine is one of the world’s fastest growing and dynamic marine lubricants companies, with a presence in more than 850 ports. Gulf Oil Marine is proud to be a part of the international “Posidonia 2012” exhibition. The company is excited to be able to present its unique global value proposition focused on world class customer service, flexibility, reliability and consistency as well as its quality products and services to visitors from around the world. 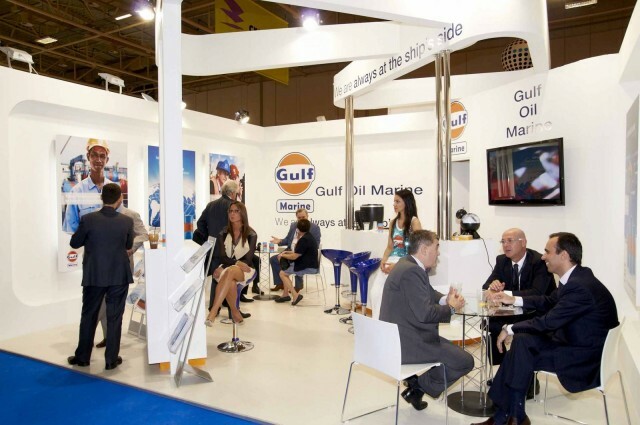 Gulf Oil Marine is continuously expanding and improving its supply network and also its network of highly experienced and motivated partners. It is especially pleasing that as all shipping eyes are looking to Greece this week, that Gulf Oil Marine has the opportunity to be here hand in hand with Rosebud Trading Co, who are represented in Greece by Medousa Maritime Ltd. The company’s stand can be visited at the “Posidonia 2012” exhibition at the Metropolitan Expo Centre near Athens International airport, Stand 4.129, Hall 4, where company staff will be only too pleased to answer any questions you may have..